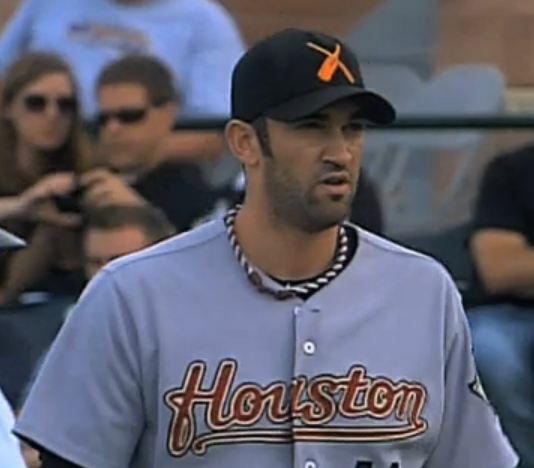 Josh Zeid, a 6-foot-4-inch reliever who played for Team Israel in the World Baseball Classic qualifiers last year, has been called-up from Triple-A by the Houston Astros. It’s the 26-year-old New Haven native’s first time on a Major League roster since the Philadelphia Phillies selected him in the 10th round of the 2009 draft. Zeid earned his way to Houston by going 4-1 with a 3.50 ERA in 43 games for the Oklahoma City RedHawks. He struck out 53 batters across 43.2 innings while walking 27 and gave up just 3 HRs. In 15 games since becoming the RedHawks’ closer, he earned 13 saves. Zeid will be the second Jewish player to make his MLB debut this season, preceded only by Oakland A’s 1B Nate Freiman. He was one of three players the Phillies traded to Houston in July 2011 for RF Hunter Pence. In college, he pitched for Vanderbilt and Tulane. The Astros face the Baltimore Orioles at Camden Yards tonight at 7:05pm ET.